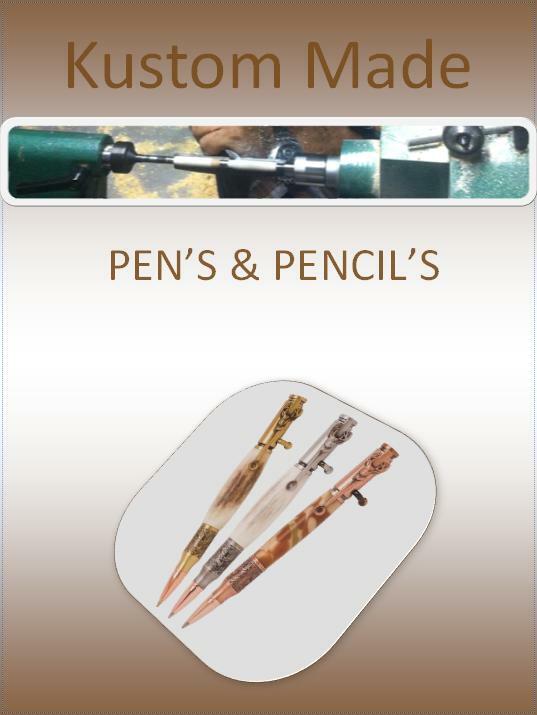 My Pen Catalog for Kustom Orders. It List Pens and other items I can make. Also list Materials that can be used for the items.